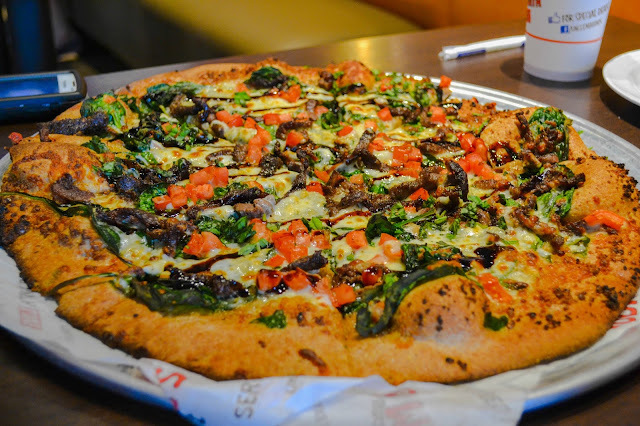 We visited Uncle Maddios Pizza Joint at East Cobb over the weekend and had the chance to try out their menu. 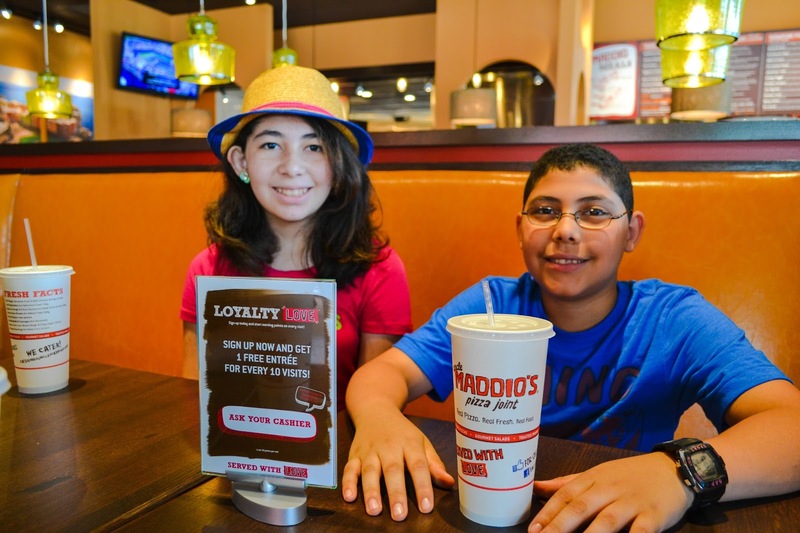 The East Cobb Uncle Maddio’s location is the second unit for franchisees John Dayton and David Tracht, who own and operate an Uncle Maddio’s Pizza Joint in Woodstock, which was the first franchised location in the system. 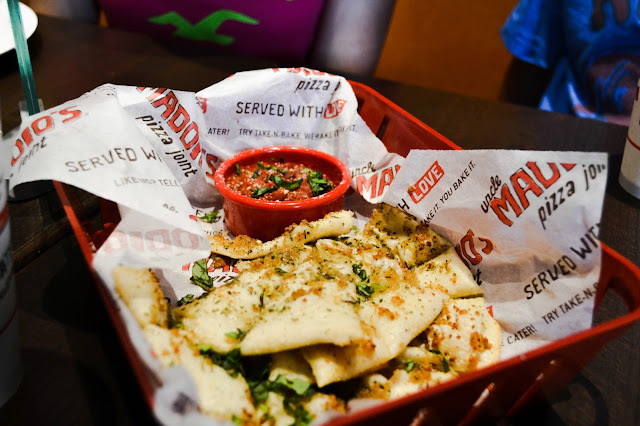 Uncle Maddio’s offers a made-from-scratch 9-inch individual pizza with up to three toppings, baked in 6-minutes, for $6.99. 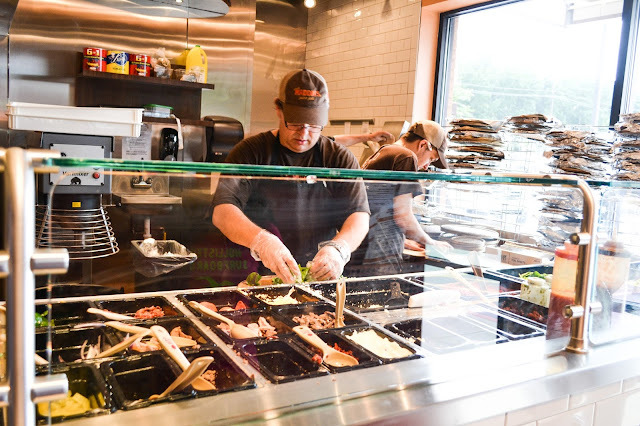 Guests choose one of three crusts, including a gluten-free option, and have the choice of 48 toppings - six sauces, 27 vegetables and 15 meats. 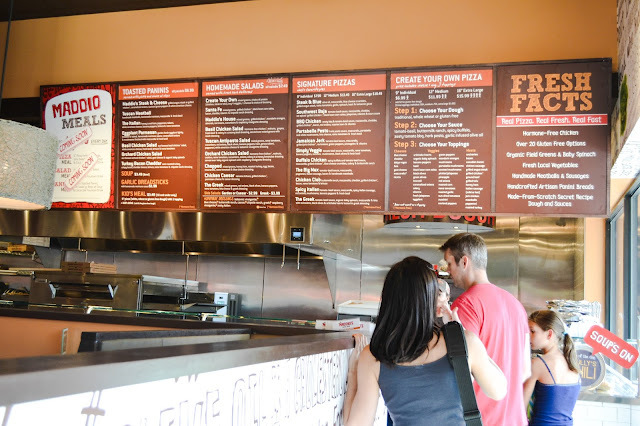 Guests can also order one of the chain’s chef-prepared pizzas for $7.99, along with “take and bake” options for the Uncle Maddio’s experience at home. Additionally, the menu features create-your-own salads and signature salads, such as Greek, Chicken Caesar, and Santa Fe. Toasted panini sandwiches round out the Italian-style menu. If you have never visit Uncle Maddio's Pizza Joint here's our top 5 reasons you should. Three dough options: Traditional, Whole Wheat or Gluten Free. Lots of sauces to choose from: Tomato-Basil Sauce, Zesty BBQ, Buttermilk Ranch, Spicy Buffalo, Herb Pesto, Olive Oil. Meats: Anchovies, Bacon, Canadian Bacon, Chicken Apple Sausage, Free Range Grilled Chicken, Grilled Angus Steak, Ground Beef, Ham, Italian Sausage, Meatballs, Pepperoni, Spicy Sausage, Turkey, Jerk Chicken. Yummy veggies: Artichoke Hearts, Banana Peppers, Basil, Black Bean Corn Salsa, Black Olives, Broccoli, Caramelized Onions, Celery, Cilantro, Corn, Eggplant, Garlic, Green Olives, Green Peppers, Grilled Tofu, Mandarin Oranges, Mushrooms, Pickled Jalapenos, Pineapple, Portabella Mushrooms, Red Onions, Spinach, Sundried Tomatoes, Tomatoes, Zucchini. Huge variety of cheeses: Mozzarella *does not count as a topping, Cheddar, Goat Cheese, Ricotta, Feta, Blue Cheese, Daiya Vegan Cheese. 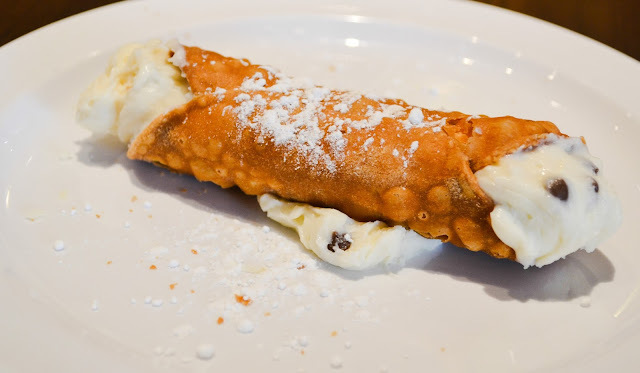 Honorable mention to their chocolate chip cannolis. We ordered two and almost licked the plate. The shell was super crispy and the filling was smooth and creamy and had a very good consistency, not too thin or thick. 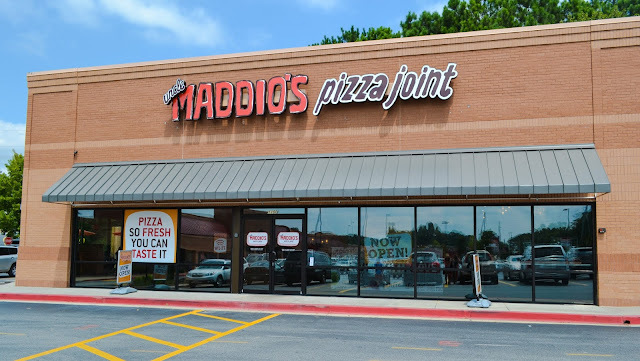 For more information on Uncle Maddio’s Pizza Joint, visit www.unclemaddios.com.